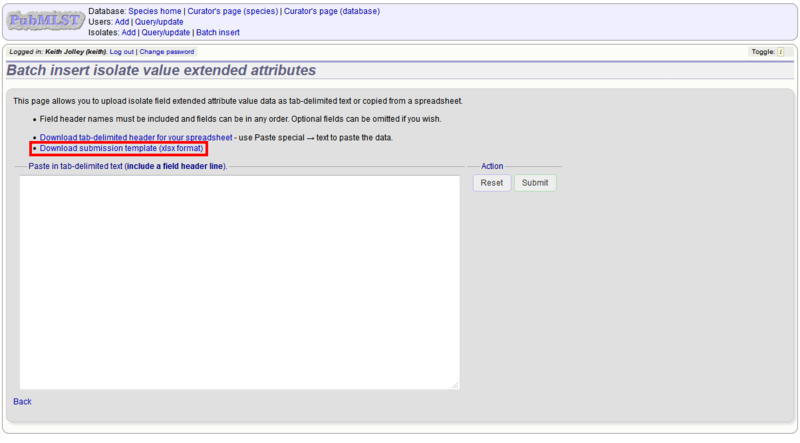 User - can view data but never modify it. 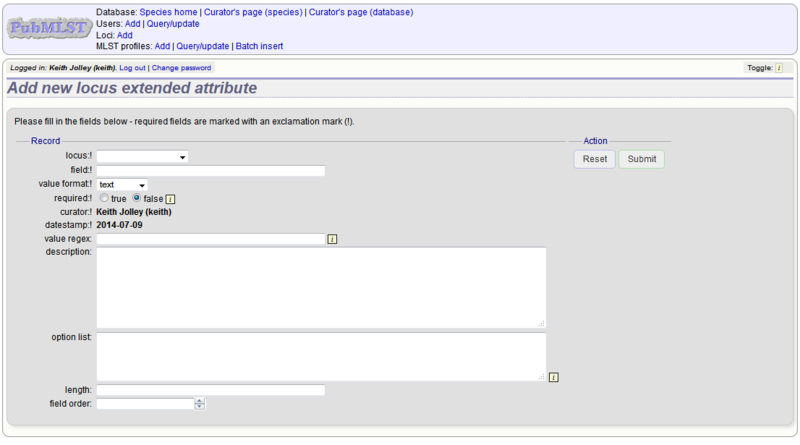 Users should be created for every submitter of data so that records can be tracked, even if they do not actually use the database. 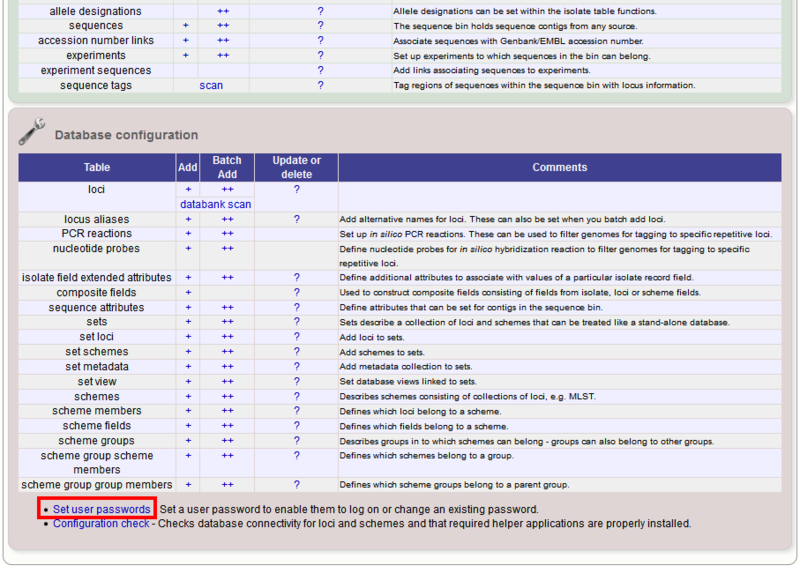 Individual isolate records may not be available to every user if access control lists (ACLs) are configured for the database. 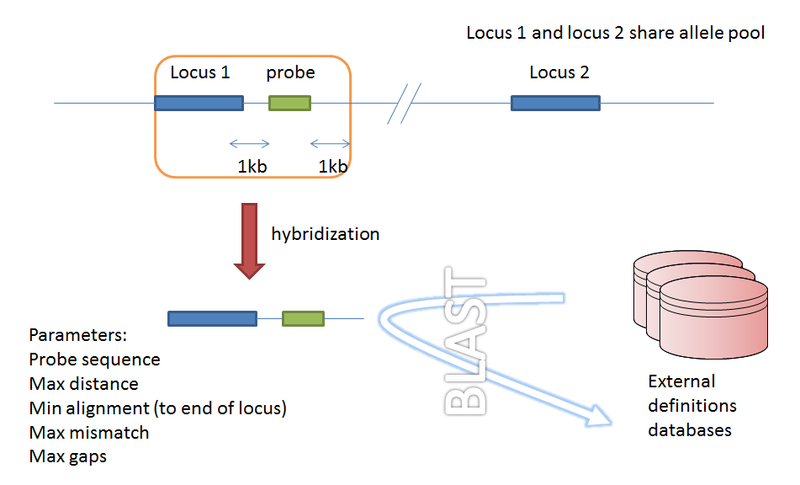 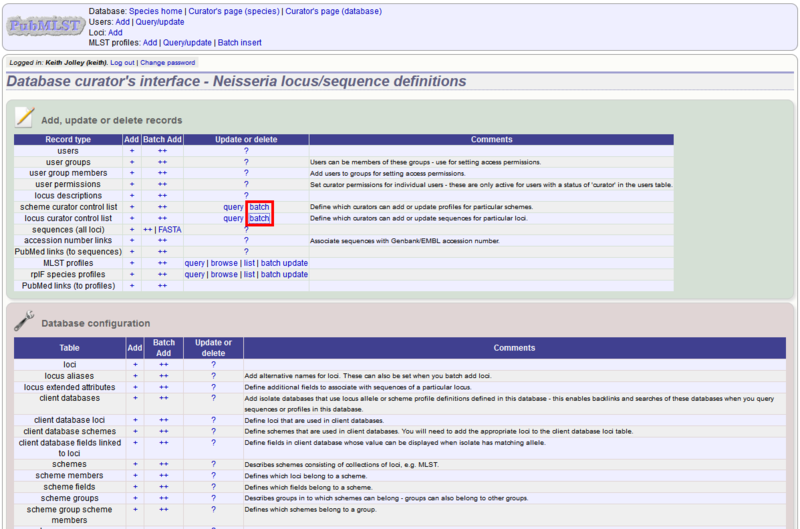 modify_isolates_acl - allowed to control who accesses isolate records (provided they themselves have access to a particular isolate). Set specific permissions and then click ‘Submit’. 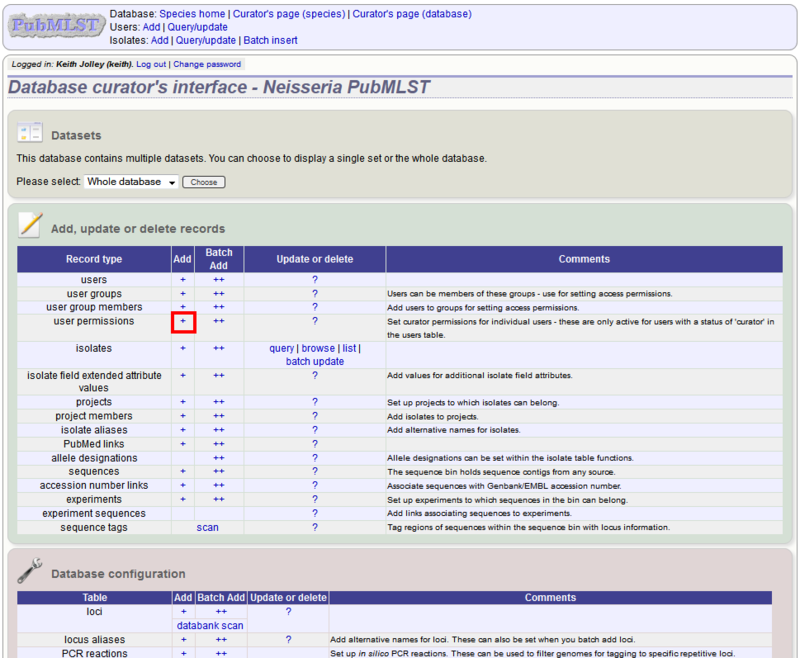 If permissions have already been set for a user, click the ‘Update or delete’ link on the curator’s page instead. 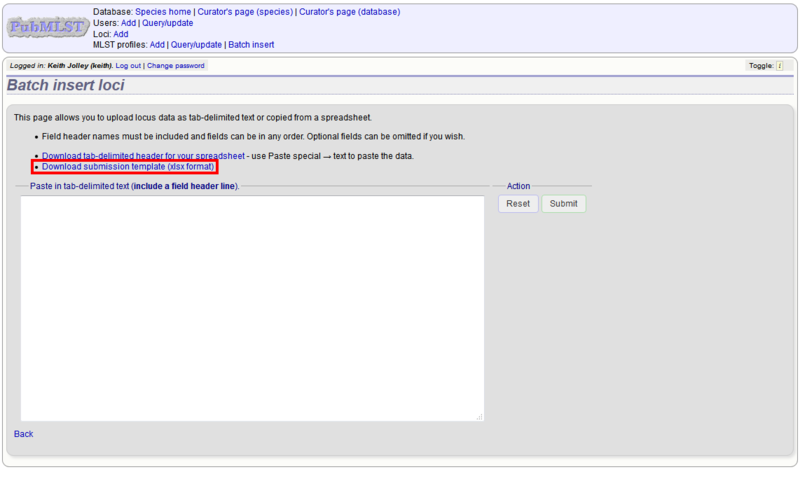 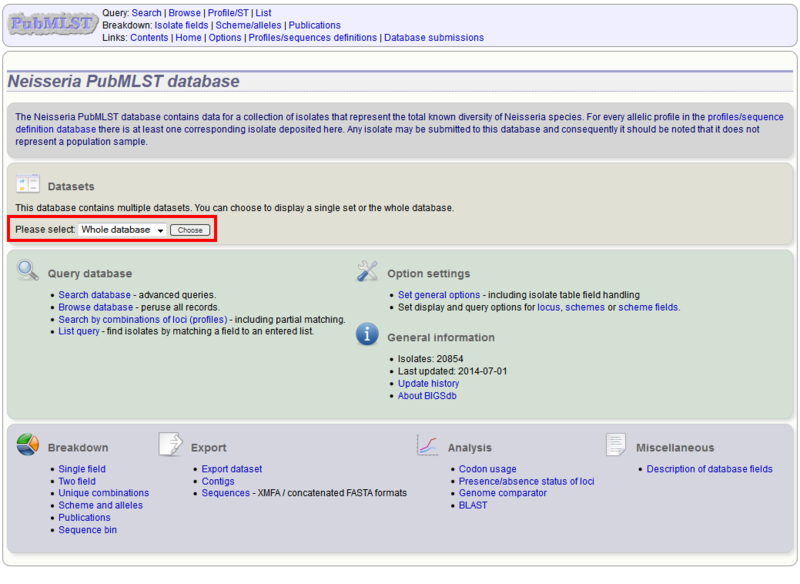 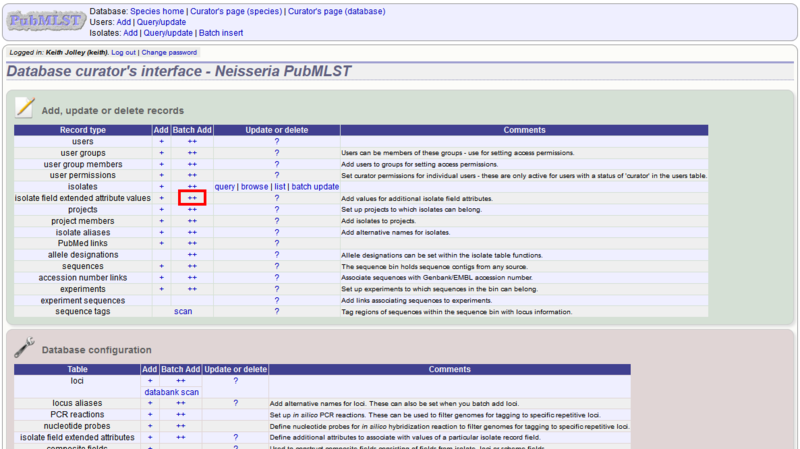 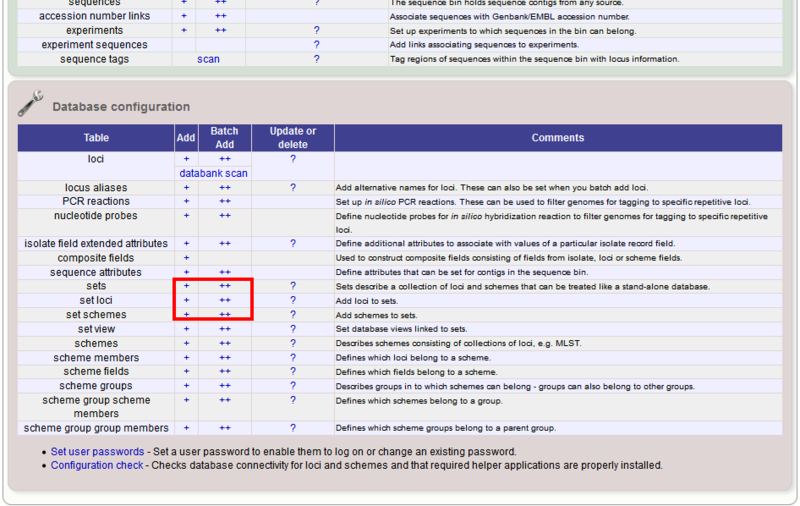 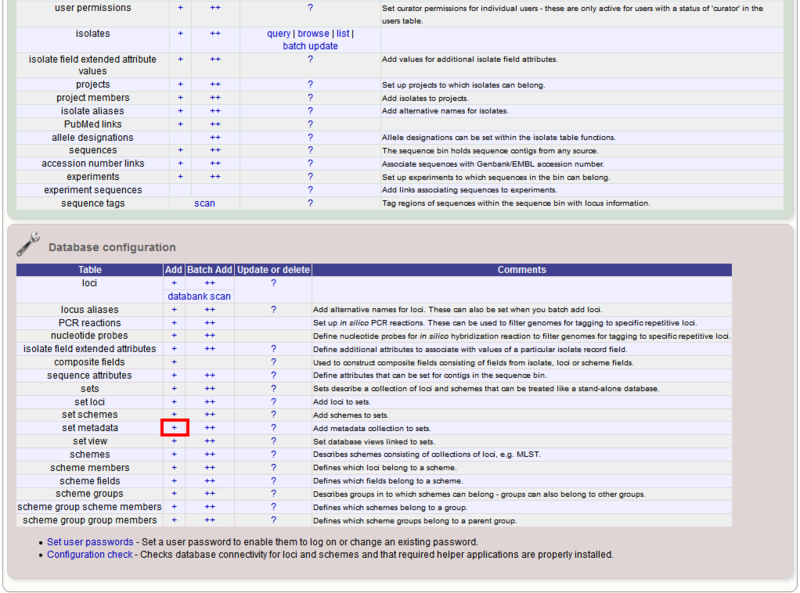 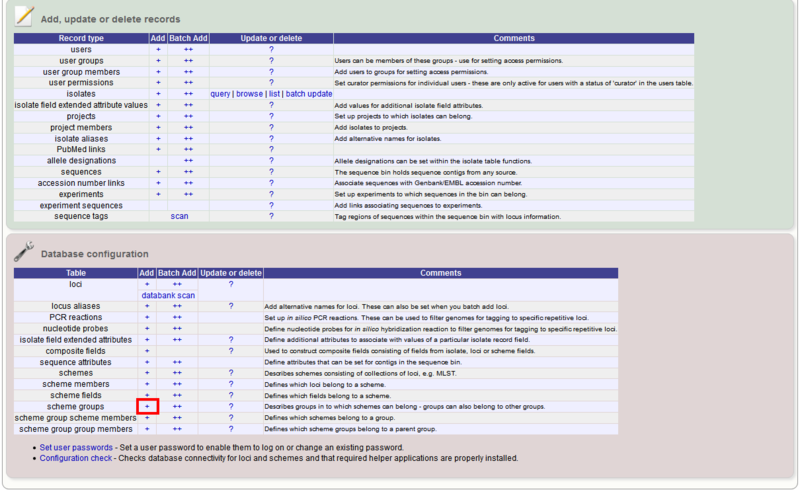 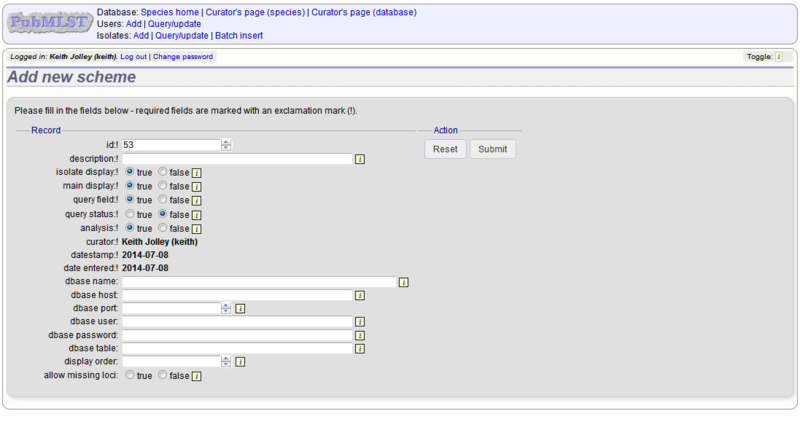 then search for the user by entering specific criteria, or simply press ‘Submit’ to display all users. 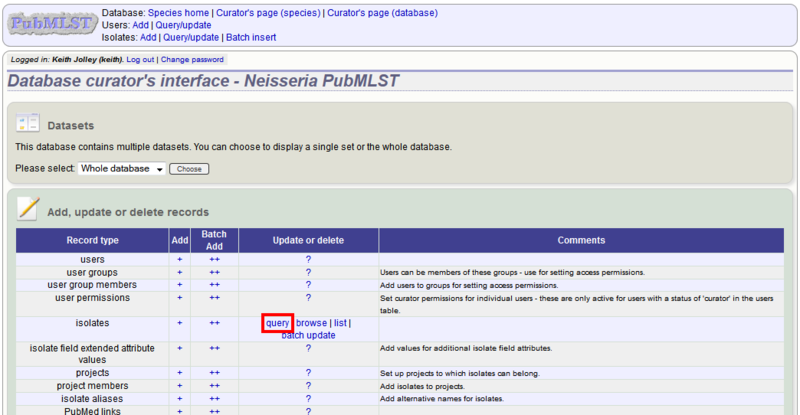 Update a specific user by clicking on the ‘Update’ link next to their name. 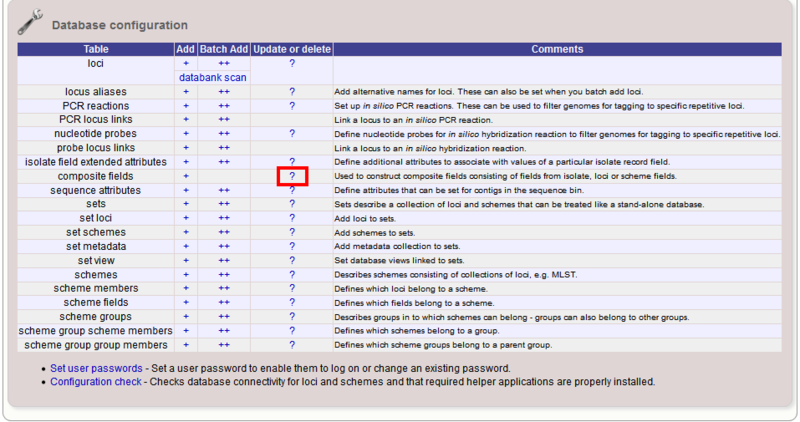 If access control lists are in use (set the read_access attribute to ‘acl’ in the system tag of the database XML configuration file), viewing and modifying of individual isolates can be restricted to particular users or usergroups. 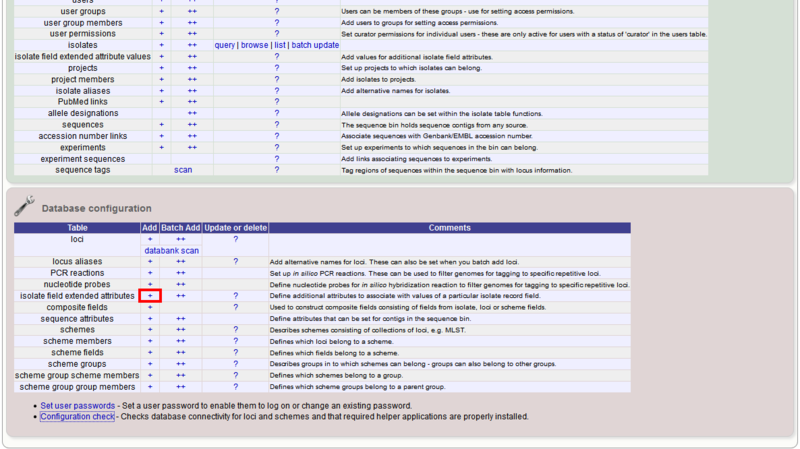 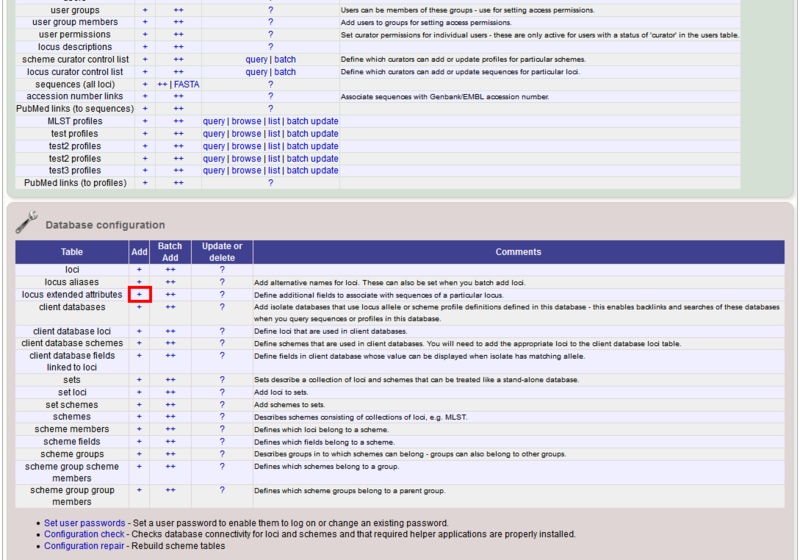 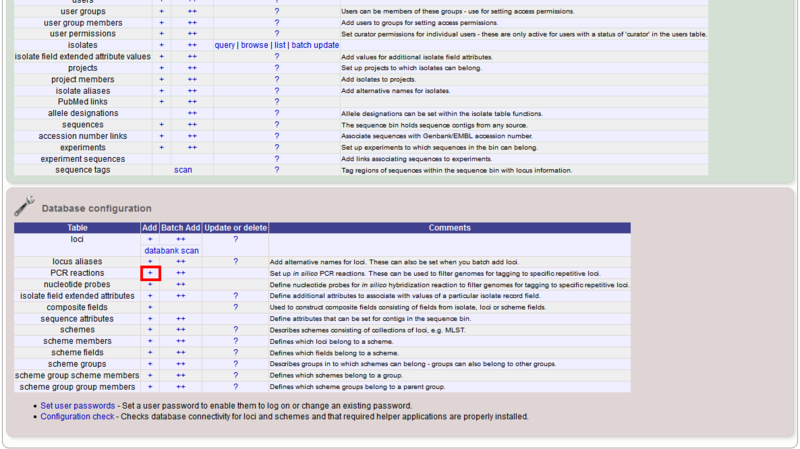 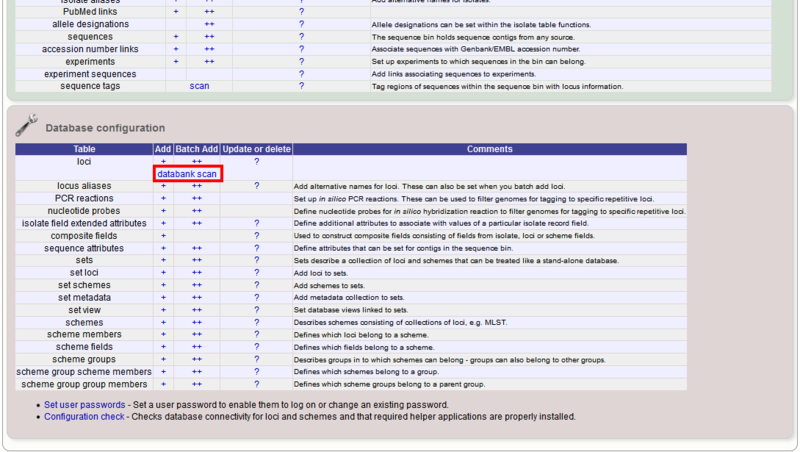 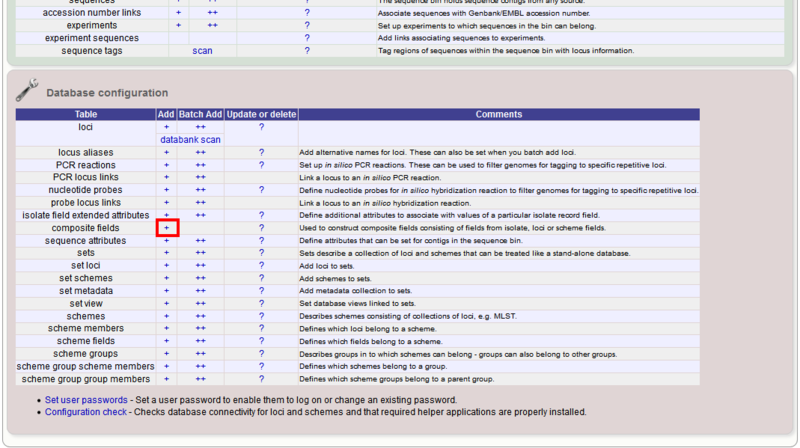 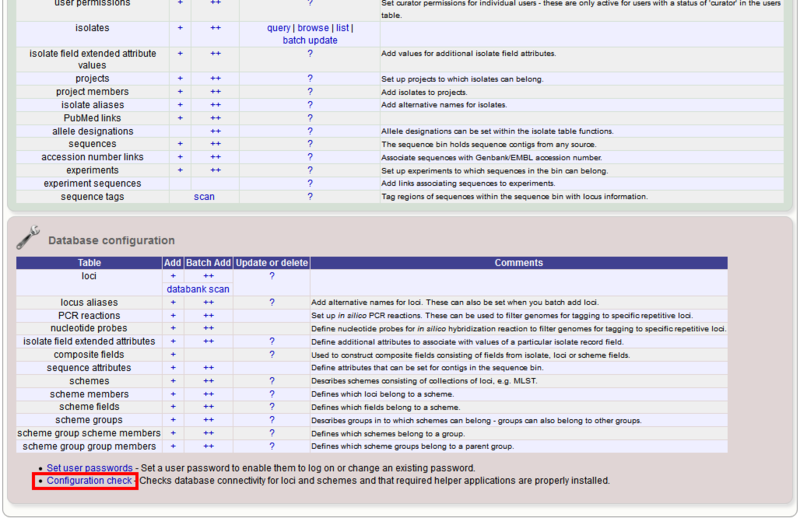 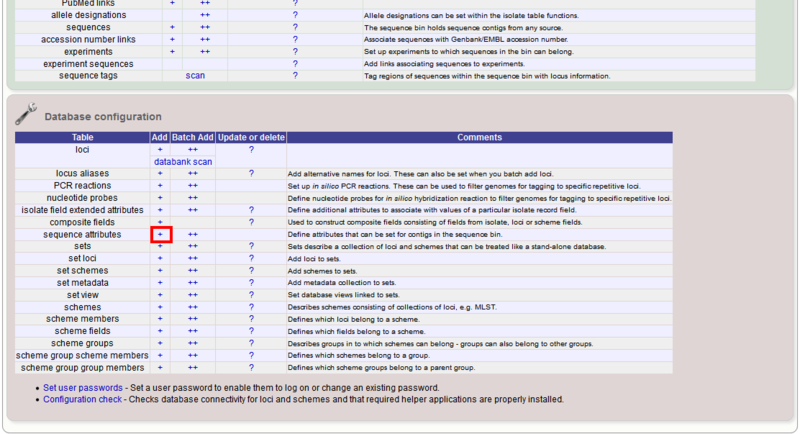 Please note that access control lists are likely to be deprecated in future releases. 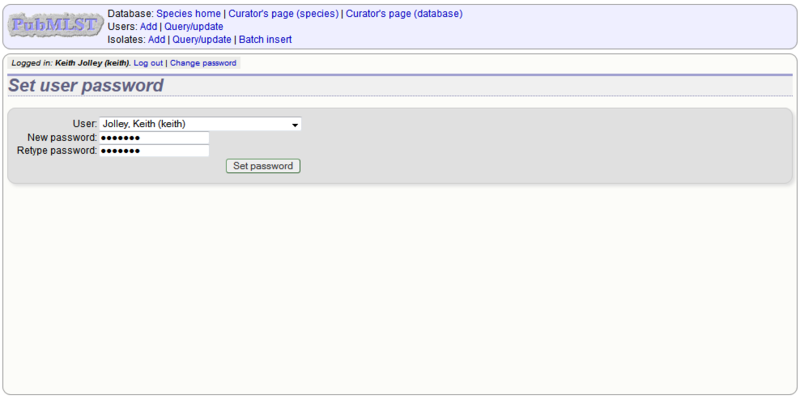 This is in favour of creating a new class of user that would be allowed to curate their own data only. 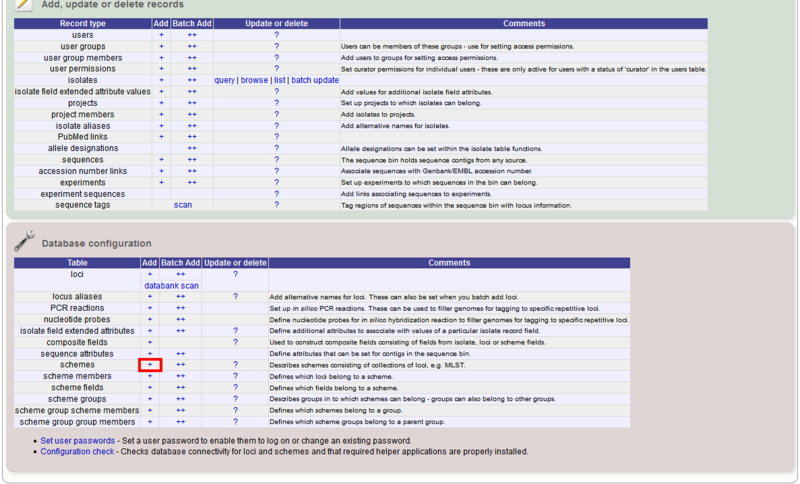 All users: read, not write (all users are members of ‘All users’ group). 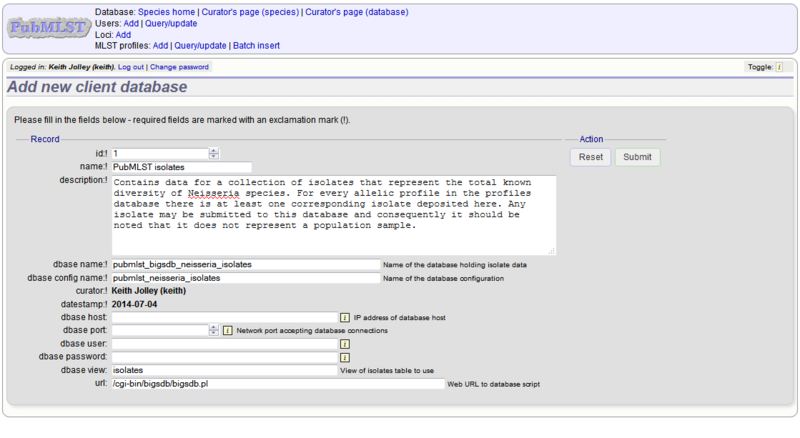 Curator who added data: read and write. 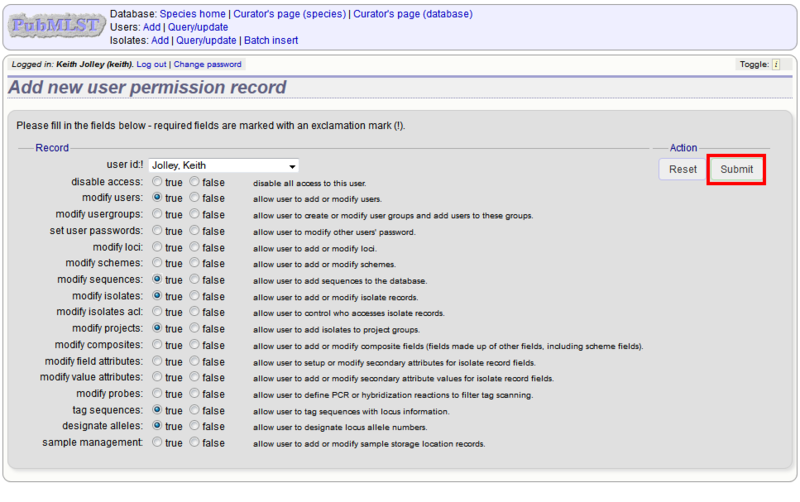 All access controls can be modified by an admin or curator with appropriate permission. 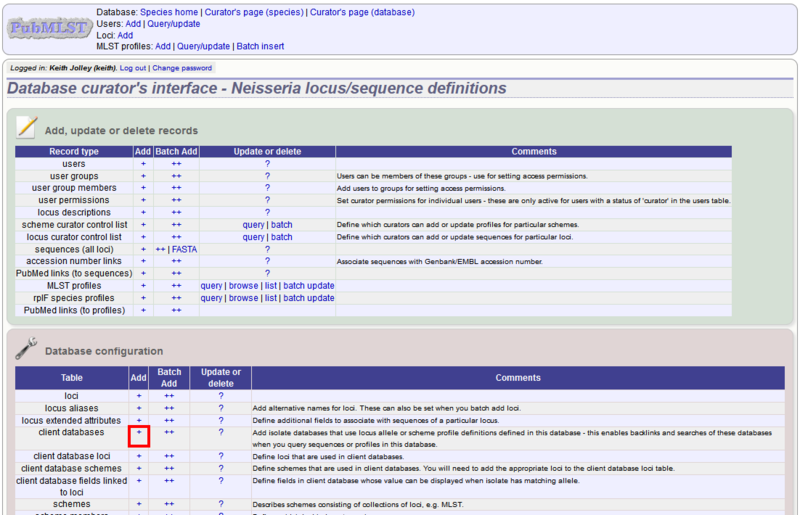 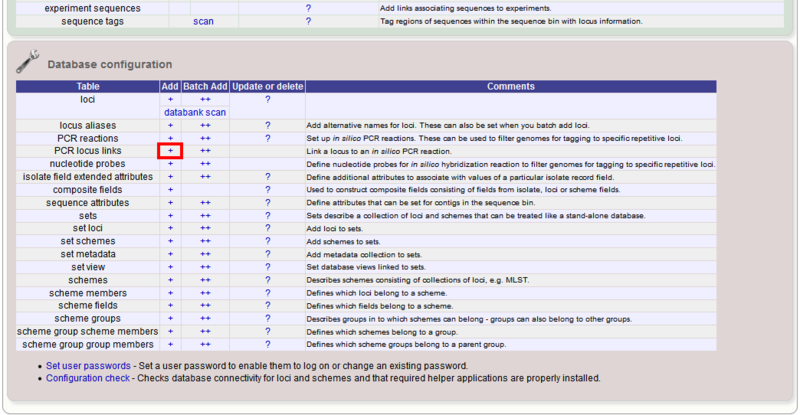 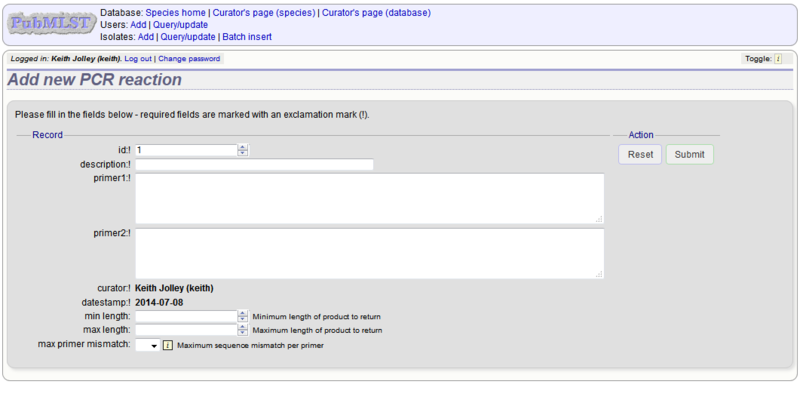 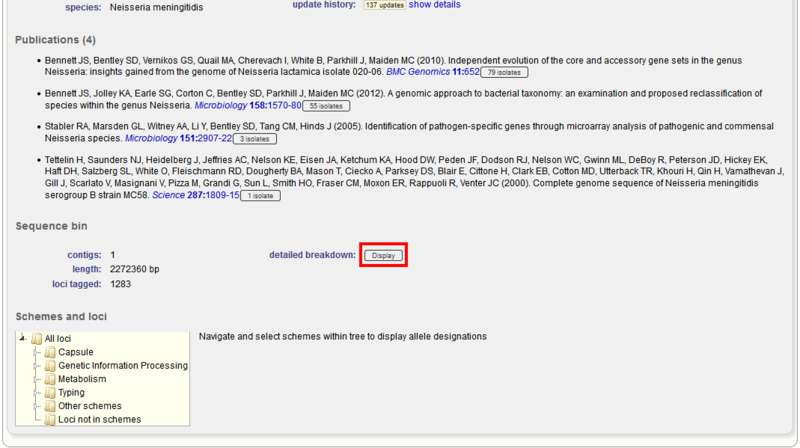 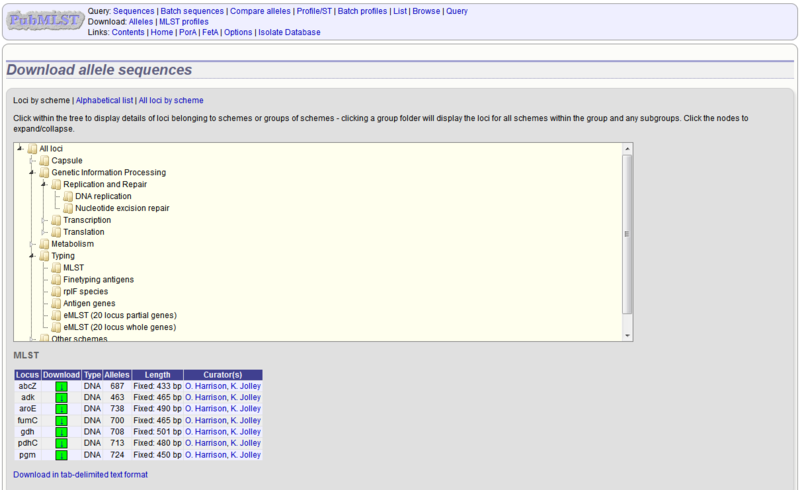 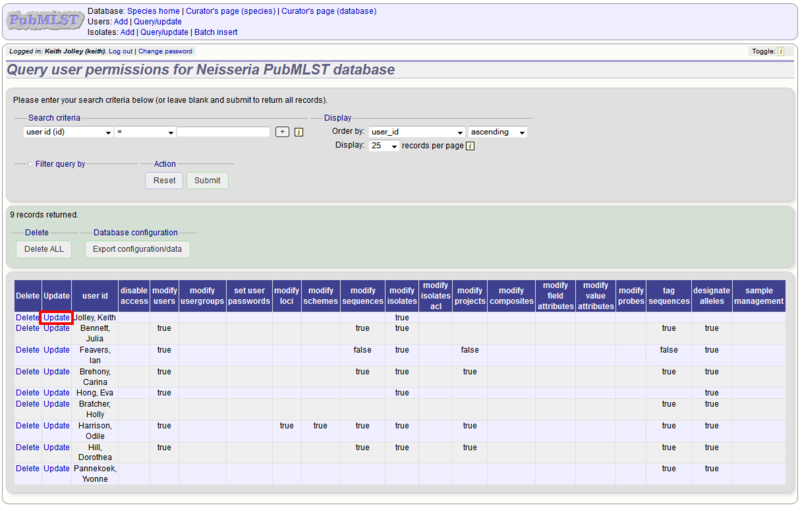 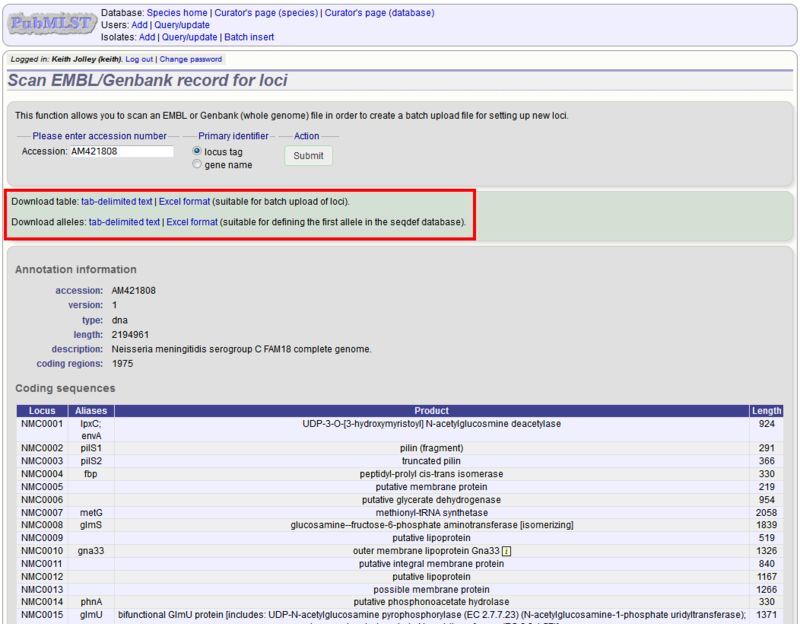 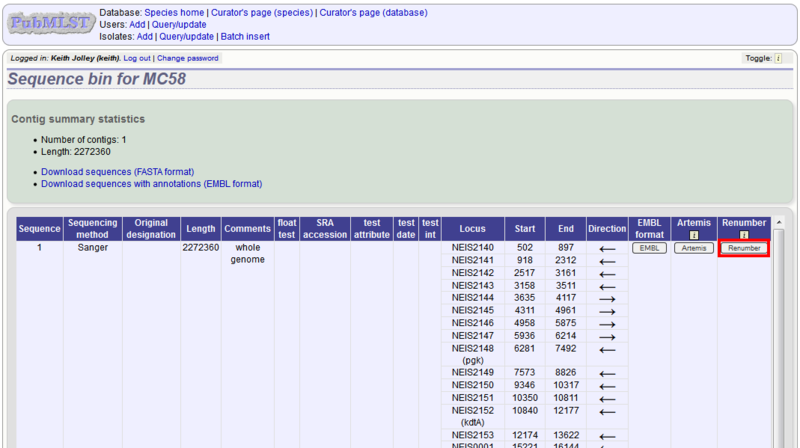 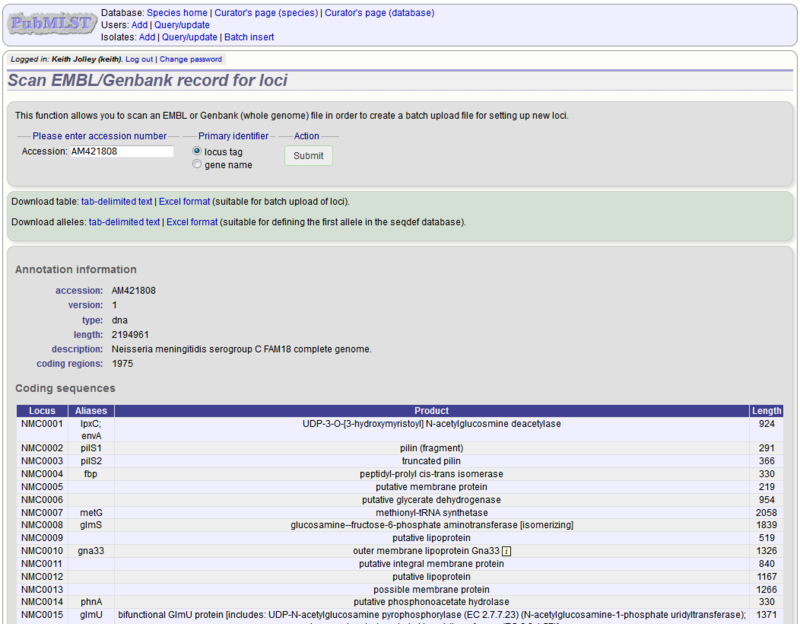 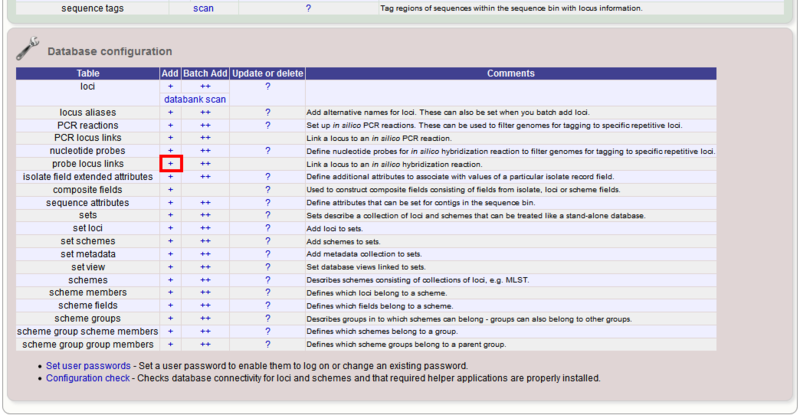 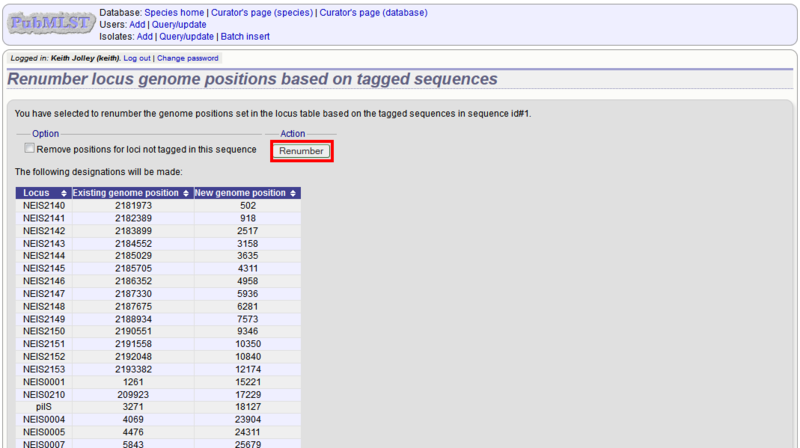 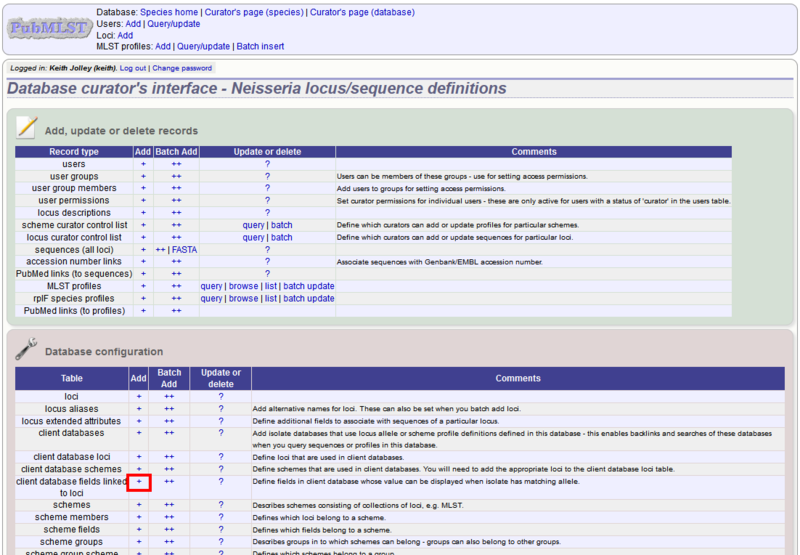 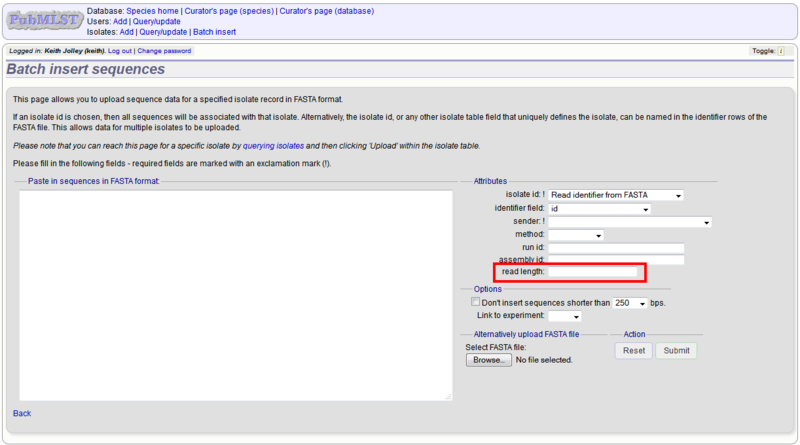 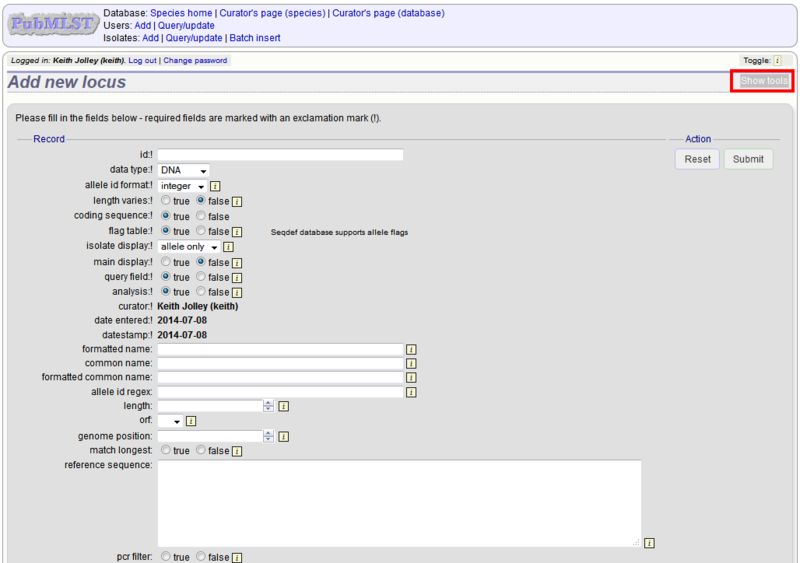 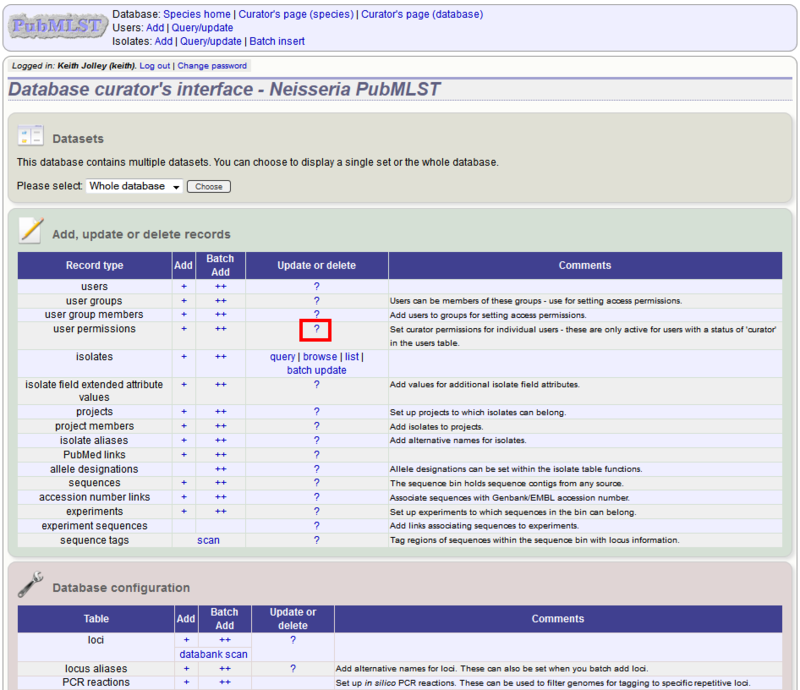 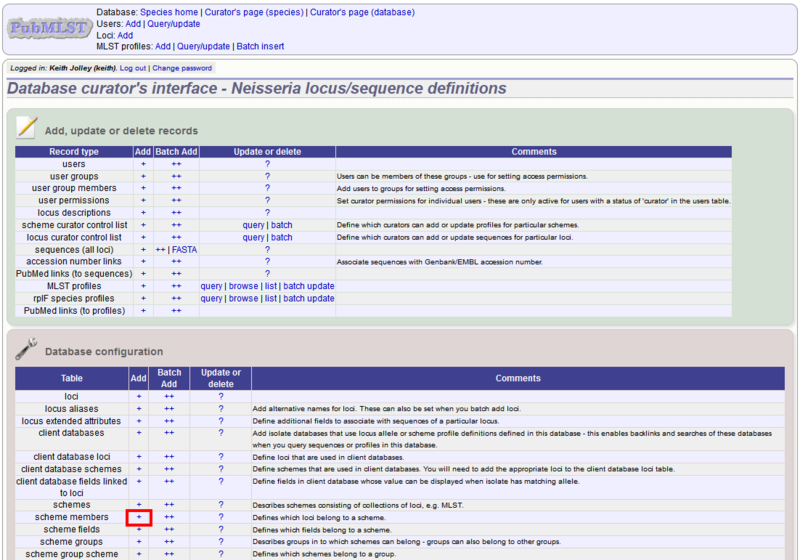 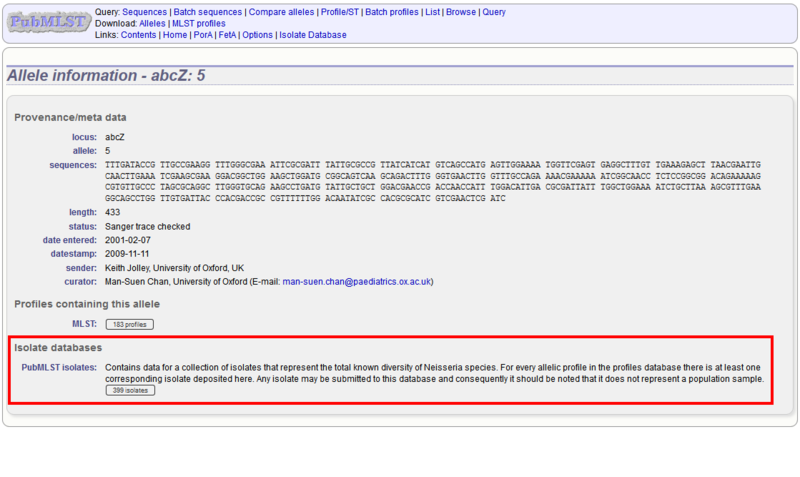 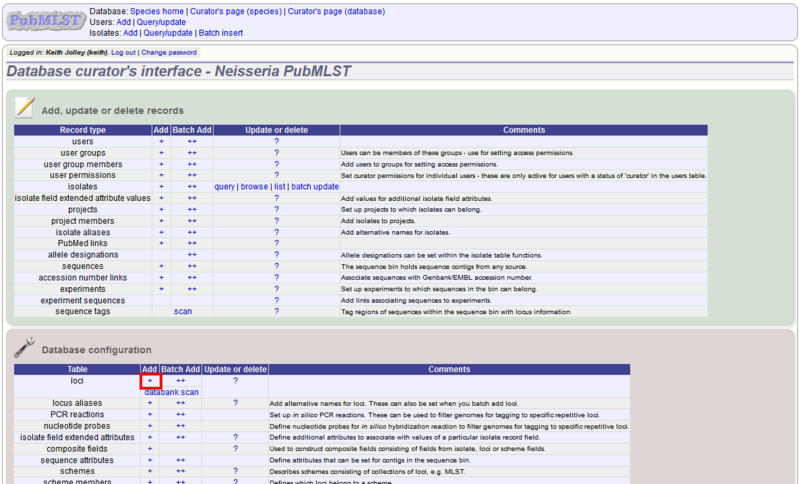 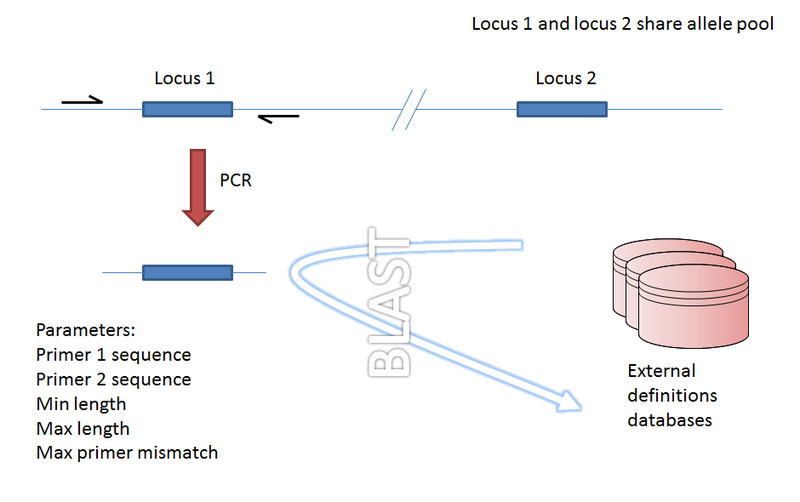 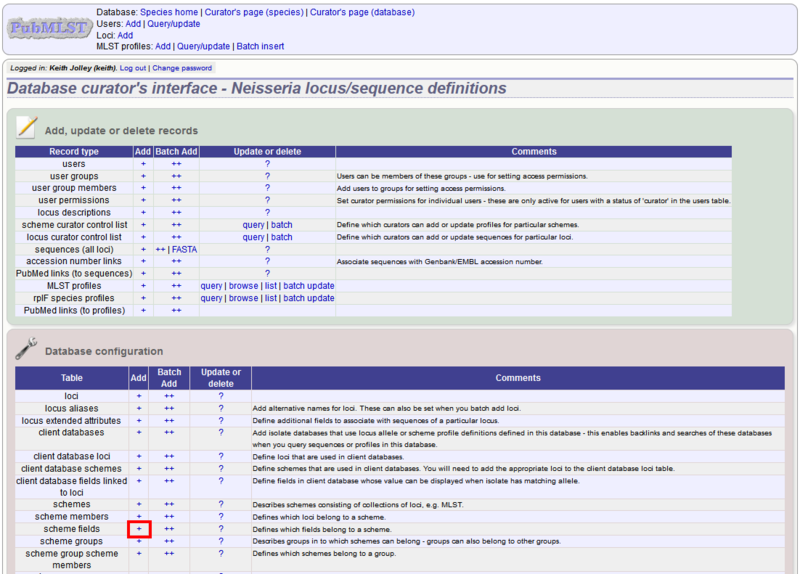 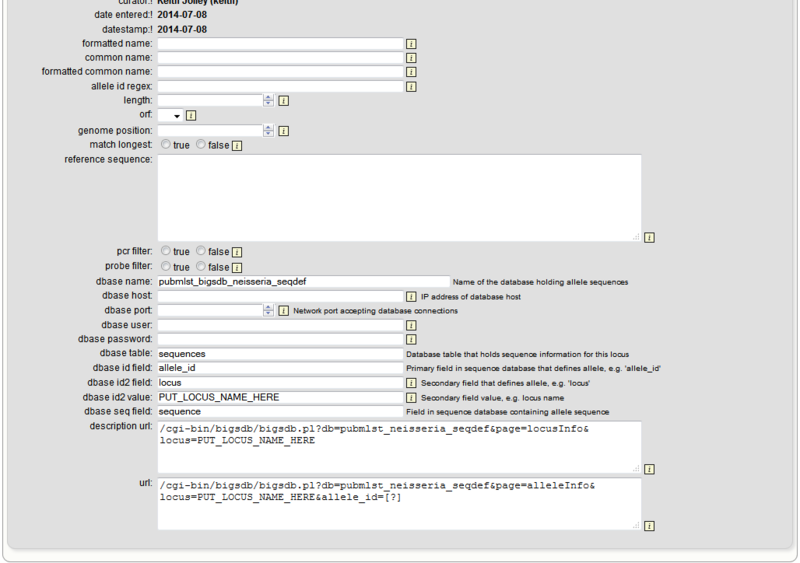 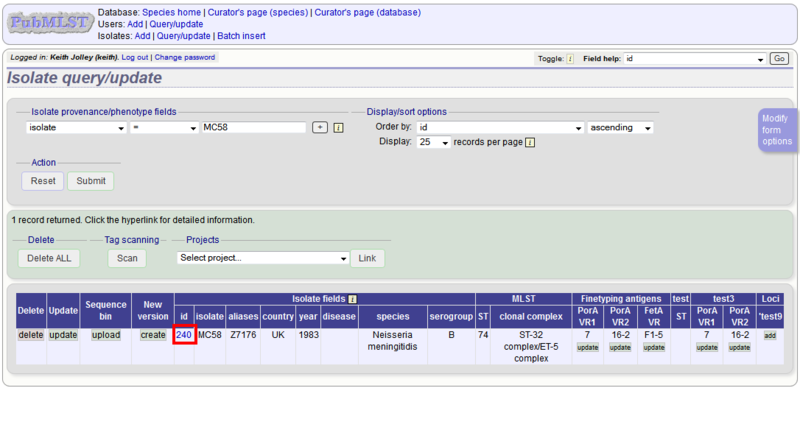 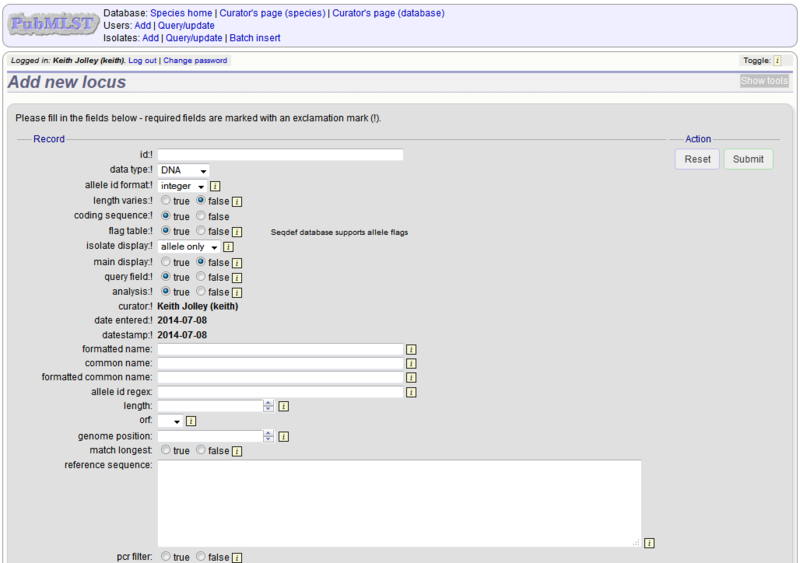 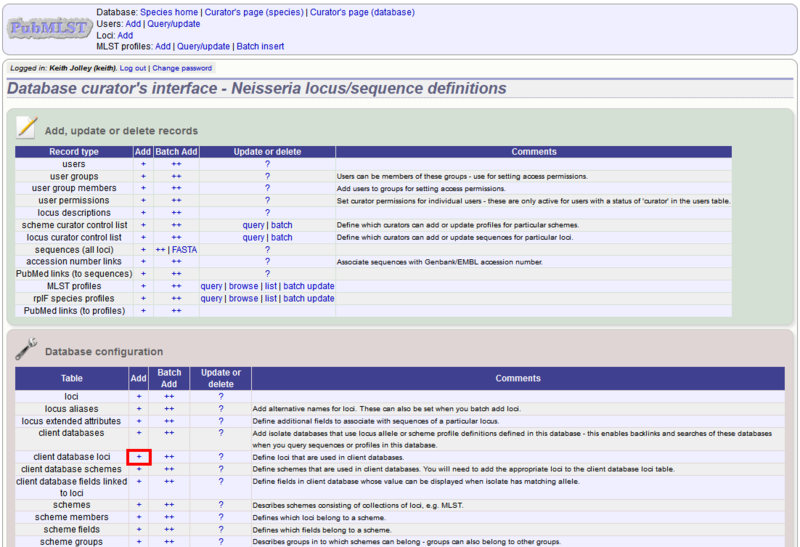 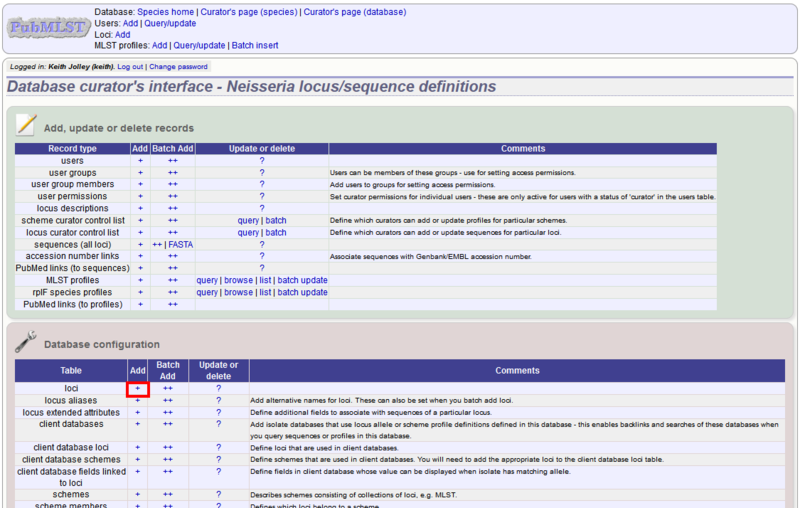 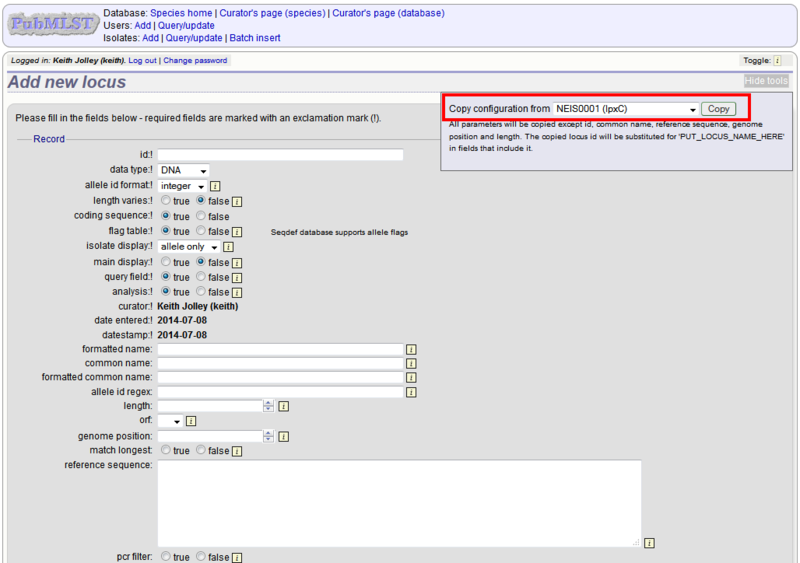 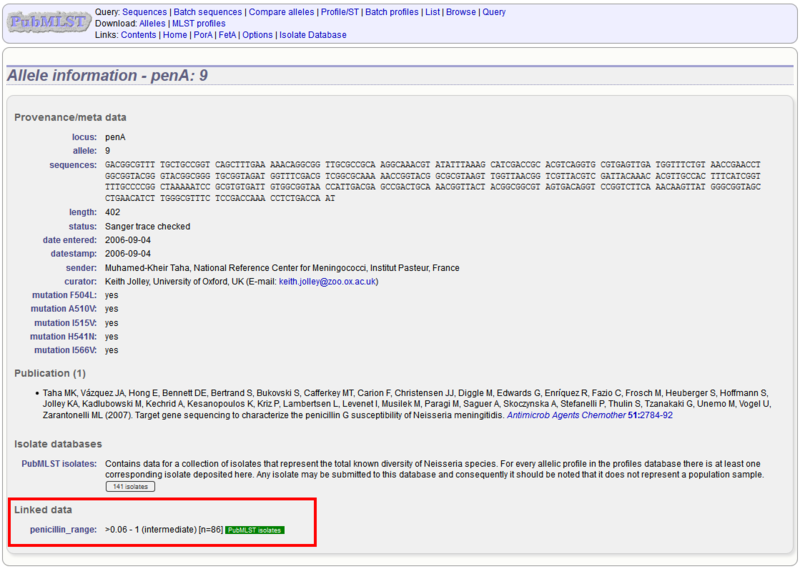 This can be done for individual isolate records or in batch mode following an isolate search in the curation interface.